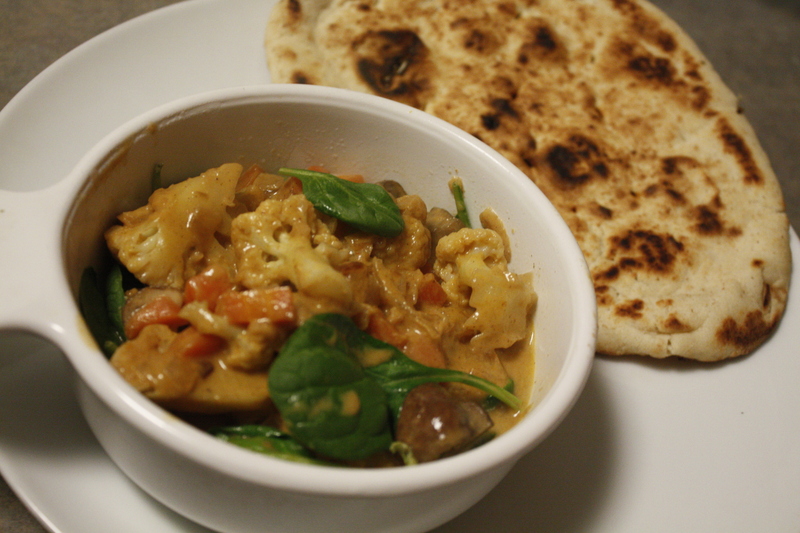 Our second meal with Plated was pan roasted vegetables with creamy coconut curry and na’an. 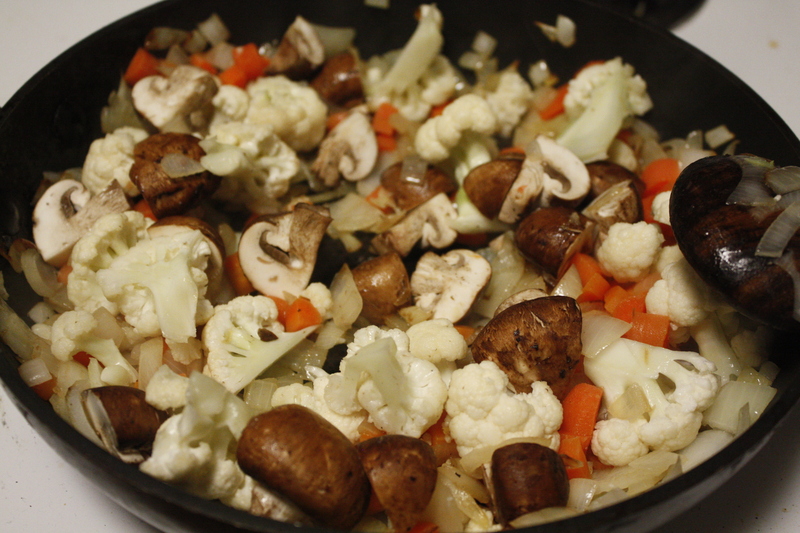 There was substantial veggie prep, but after that the dish cooked itself. We loved the crispy char (almost crisp cracker like in the center) of the na’an and the hearty veggie curry went really well with the spinach leaves. We just wish there was an option to add additional heat (hot). Other than that a dish will definitely enjoy another time! We loved the explanation of the garam masala spice. Garam masala is a North Indian ground spice mixture, most commonly used to ﬂavor curries, soups, and rice dishes. Blends vary by region, but most include black pepper, cardamom, cloves, cumin, and cinnamon. We also appreciated the tip when using spinach in soups and stews, always add it at the very end of preparation. 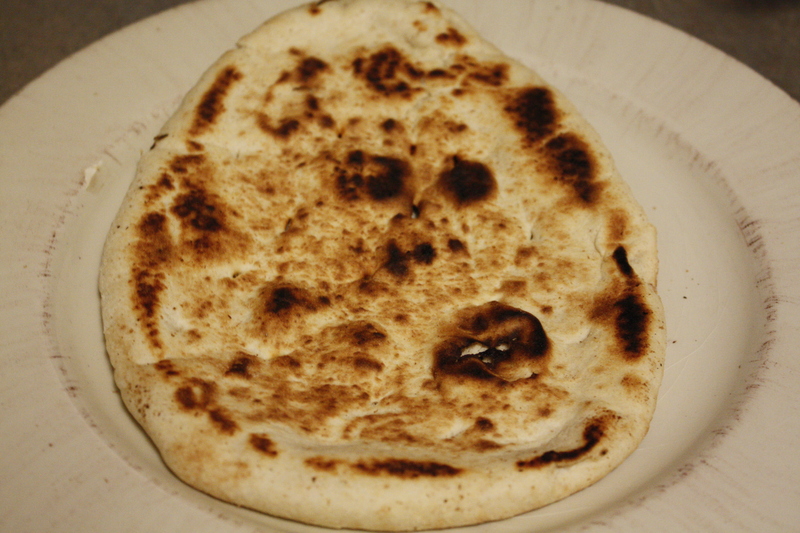 The delicate leaves cook quite quickly– adding them too early will lead to overcooking. 1. Prepare Ingredients Peel onion and cut into small dice. Mince garlic. Peel ginger with a spoon and mince. 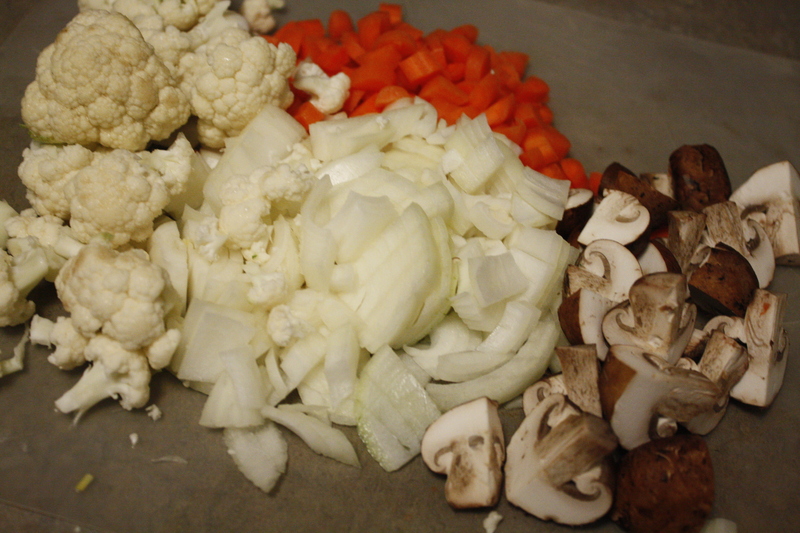 Rinse cauliﬂower and break into 1½-inch ﬂorets. Peel carrot and cut into ¼-inch dice. Wipe mushrooms clean with a damp paper towel and quarter. 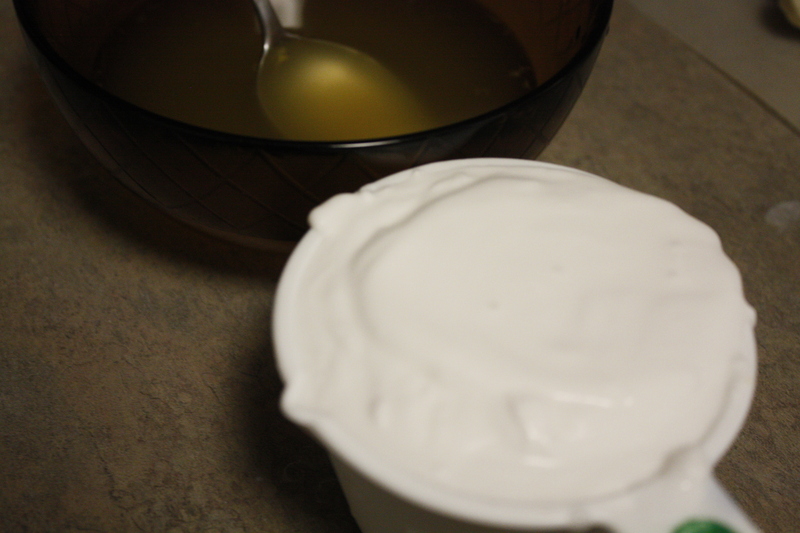 In a small bowl, whisk together vegetable base with 1 cup water. 2. Sauté Vegetables Heat 1 tablespoon olive oil in a large high-sided pan over medium heat.When oil is shimmering, add onion and cook until soft and translucent, about 3 minutes. Add garlic and ginger and cook until fragrant, about 1 minute. 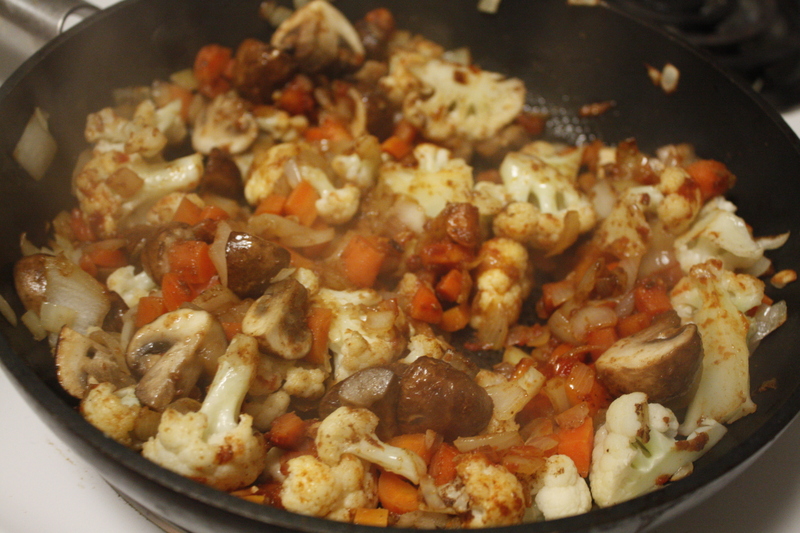 Add cauliﬂower, carrot, and mushrooms, stir, and cook until beginning to soften, about 7 minutes. 3. 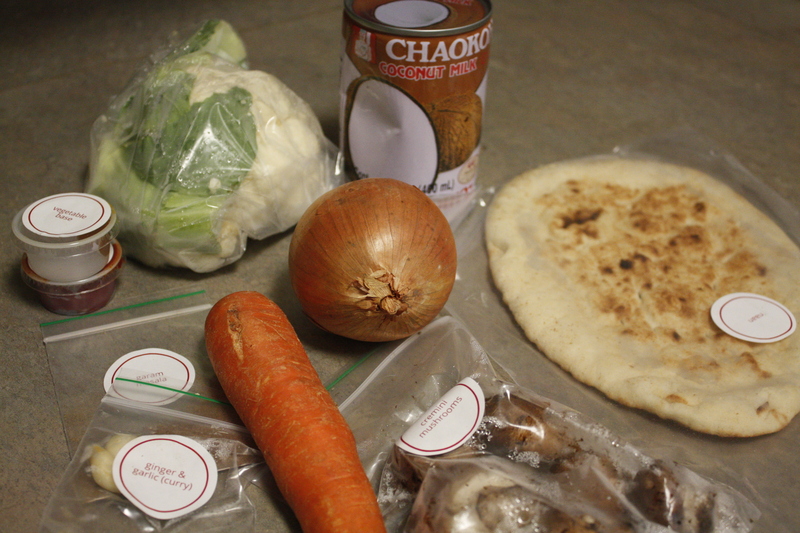 Season Vegetables Add tomato paste and garam masala. Cook, stirring, until vegetables are coated completely, about 2 minutes. Taste and add salt as needed. 4. 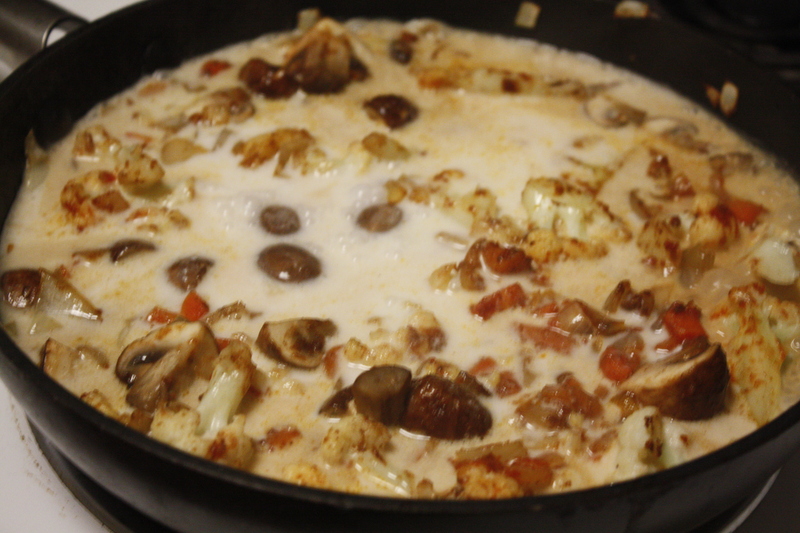 Simmer Curry Add vegetable base mixture and 1 cup coconut milk and stir to combine.Discard remaining coconut milk. Increase heat to high and bring to a boil. When boiling, reduce heat to low and simmer until curry thickens, about 8 minutes. 6. Plate Curry Remove curry from heat, add spinach, and stir until just wilted, about 30 seconds. Taste and add salt as needed. Divide evenly between 2 bowls and serve with na’an alongside.